The program should run in O(1) space complexity and O(nodes) time complexity. This problem can be solved by using two pointers. 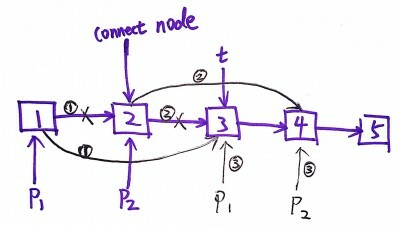 We iterate over the link and move the two pointers. It can also be done like this, right? Slow starts from head and fast starts from head.next. They both start skipping one node and continue to parse the list. Correct me if I am wrong! I know my code has little bit complexity. But I feel like wanna post my code. I paid a lot of time to get the correct output. My solution ollows the same principle as the other solutions.